Now more than ever, it is a challenge to be a supplier on an aerospace and defense program. The goal of trying to exceed customers' expectations while also contributing to superior performance in delivering high-quality products and services on time and within budget can be daunting. The idea of winning a supplier excellence award can seem even more farfetched. But the Orbital ATK Aerospace Structures Division (ASD), headquartered in Clearfield, Utah, defied the odds as they recently won not just one, but two, top supplier excellence awards from their customers. ASD was one of only twelve suppliers receiving 5-Star Supplier Excellence Awards out of 126 Raytheon Integrated Defense Systems (IDS) suppliers at their annual Supplier Excellence Conference. The top-rated, 5-Star honor was awarded to the Orbital ATK ASD facility in Hopkinton, Massachusetts, for their ability to maintain 100% on-time delivery, 100% quality assurance and sustainable continuous improvement processes over the course of twelve consecutive months. A 5-Star recognition is the highest level of recognition a Raytheon IDS business supplier can achieve for excellence in quality and performance. The Orbital ATK ASD Hopkinton facility supplies Raytheon IDS with critical sub-assemblies and components for the Patriot Air and Missile Defense System. ASD was also personally chosen from the entire Rolls-Royce supplier base by the Chief Operating Officer of Rolls-Royce to receive one of the company’s highest supplier recognitions, the Rolls-Royce COO Award. The Utah division builds composite aft fan containment cases for the Rolls-Royce Trent-XWB engine. The award was given to Orbital ATK for proactive rate readiness preparations and customer collaboration and responsiveness on the engine program. 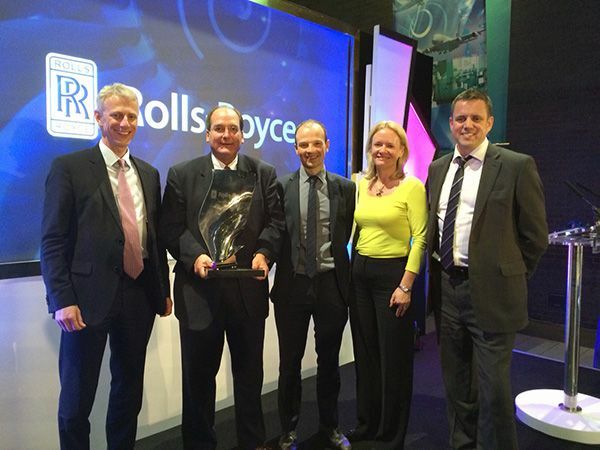 ASD was awarded the Rolls-Royce COO Award only two years after winning the 2013 Rolls-Royce Aerospace Supplier of the Year Award. By operating as partners and differentiating themselves from the competition through close collaboration and a relentless commitment to first-time quality, on-time delivery and affordability, the Orbital ATK Aerospace Structures Division proves our commitment and dedication to excellence as a supplier is another way we truly are the partner our customers can count on. 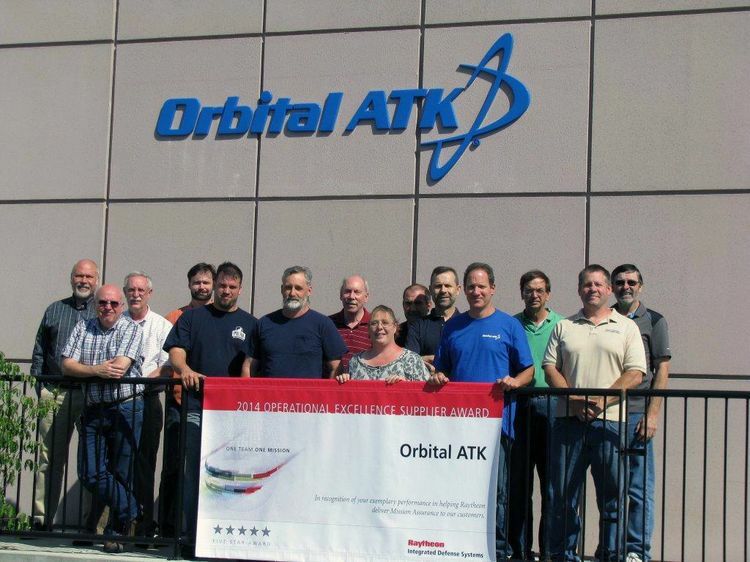 The Orbital ATK Aerospace Structures Team in Hopkinton, MA display their Raytheon IDS 5-Star Supplier Award banner.